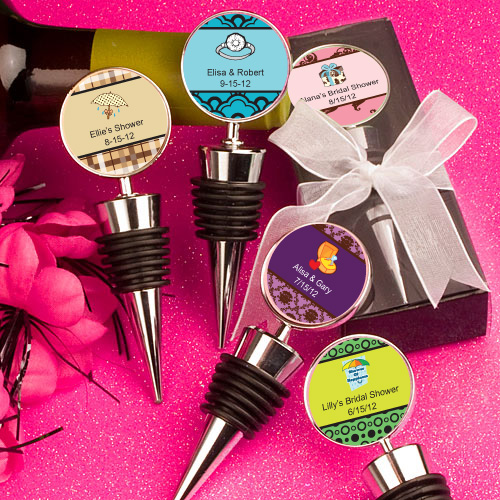 These personalized wine bottle stopper favors are full of one-of-a-kind flair to celebrate your special day! 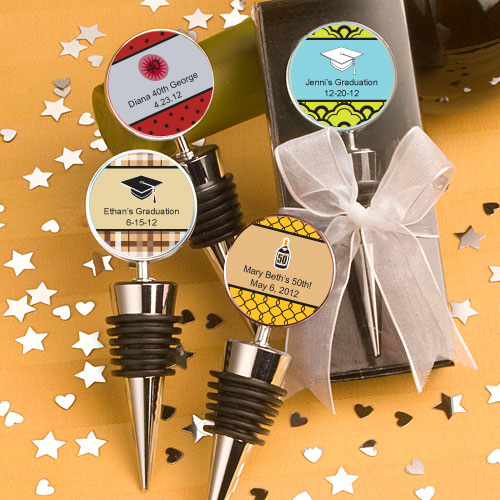 Your guests are sure to be impressed by the personal touch you put on your wedding, shower, anniversary or any other special event with these bottle stopper favors. 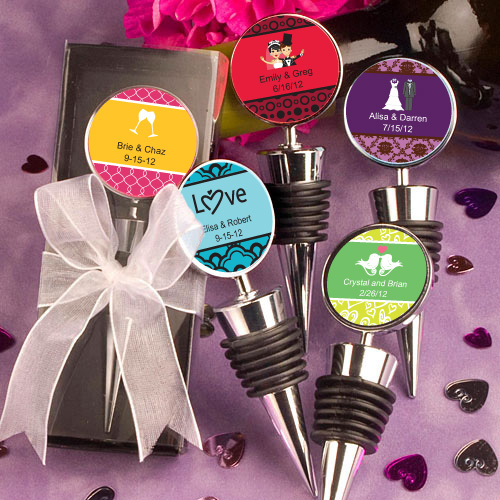 Each wine bottle stopper favor measures 3 ¾ x 1” and is made of silver metal with a black-rubber-gasket-wrapped conical base and a round metal disk top with an inset center - fit for easy application of the personalized label of your choice. 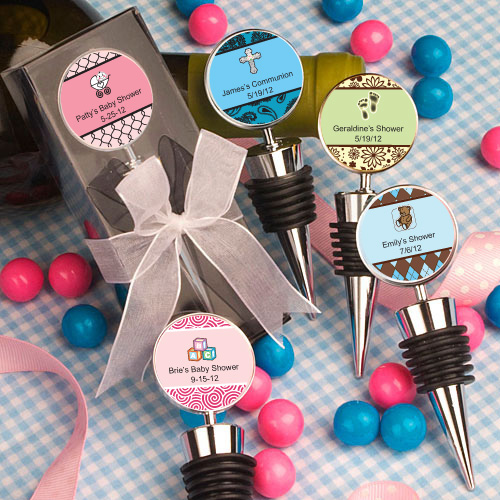 From assorted color combinations, to seasonal and themed designs, to your own title, you design the eye catching label that suits your style!